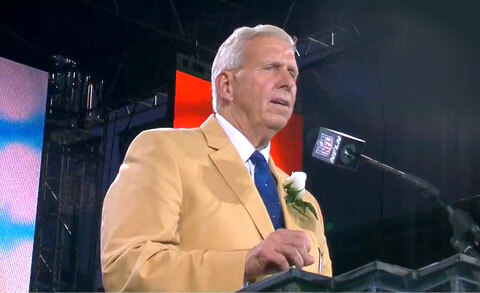 Former NY Giants coach, Bill Parcells, was recently inducted into the Pro Football Hall of Fame and honored at the 2013 Enshrinement Ceremony that was held on Aug. 3, 2013 at Fawcett Stadium in Canton, Ohio. The award was presented by former defensive end, George Martin, who played his entire career with the New York Giants. Photo shows Former NFL coach, Bill Parcells, speaking at his Hall of Fame Induction. CHARLOTTE, N.C. — NFL Hall of Famer, Dan Marino, was the guest speaker as a part of the Charlotte Touchdown Club’s Luncheon Speaker Series held at the Westin Hotel ballroom Tuesday, July 30, in Charlotte, N.C. The Charlotte Observer reported that Marino answered questions for nearly an hour. He was asked about everything from Pittsburgh accents and Miami restaurants to concussion awareness and the potential for NFL expansion. 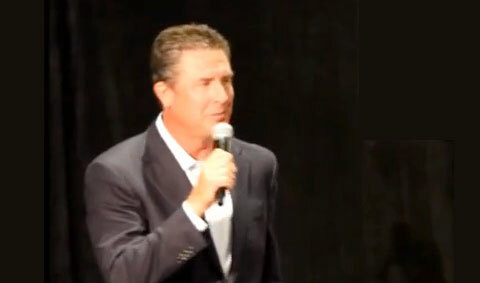 Photo shows former Miami Dolphins quarterback and NFL Hall of Famer, Dan Marino, speaking at the Charlotte Touchdown Club Luncheon held at the Westin Hotel ballroom on July 30, 2013. Former Olympic speed skater, Apolo Ohno, will join NBC as an analyst on speedskating at the 2014 Winter Olympics to be held in Sochi, Russia during the network’s coverage in February. He will also be doing features and studio commentary as well. 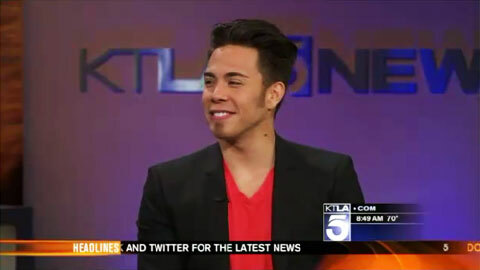 Photo shows Apolo Ohno speaking with interviewer about his career. NEWARK, N.J. — Mike Tyson was the perfect speaker to deliver the keynote speech at Newark Drug Court Graduation on Monday, July 15, 2013 as he spoke to a packed auditorium at the Mary Burch Theater in Essex County College about how drugs have knocked him down time and again. Tyson’s candid speaking style kept the graduates laughing and applauding, but his words also carried the more serious message of what he had lost to his addiction. 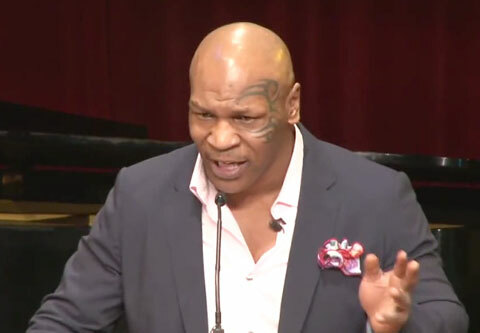 Photo shows Mike Tyson speaking at Newark Drug Court Graduation on July 15, 2013.